Today marks the official worldwide release of the first chapter of the newest from Aaron Christenson: An EP to be released in parts entitled I Am Disaster. The story behind this project is extremely powerful, as well as the nature of this music. Aaron and I had first met back in college, where we spent a few semesters working on a few projects before Aaron had left to pursue other interests. Now, after almost 10 years, Aaron has reached out to me to collaborate on this new project. A lot has happened in his life, and I strongly encourage you read about it on his website (see link below) because only he can tell the story the way it's meant to be told. I'm truly honored to be able to work with incredible talent, and am grateful to be a part of this project. I'm eagerly looking forward to the next phases of the record. To learn more please follow Aaron's Facebook page and YouTube channel, or visit his website where you can read more about the story of this project, and whats to come. All of the tracks are available for purchase on his website, aaroncmusic.com. Tracks can also be purchased or streamed directly via iTunes, Apple Music, Spotify, and anywhere else your favorite music can be heard. Tera's album HOME is out now and available for purchase, and we're definitely excited! There will be some videos coming out over the coming weeks/months, so be sure to tune in to her Facebook page and YouTube channel so you don't miss anything! Both videos were recorded and produced fully on-site here at JBRecording. Enjoy! It's official, after a year of recording and production, the latest from the folky soulstress herself, Tera Johnson, is here for all to enjoy. HOME is a collection of music for the soul. It's a journey of compelling melodies with lyrics of love and loss, forgiveness and empowerment. HOME will most certainly become an album set to replay over and over. Home is available now on iTunes, and Spotify, as well as many other online sources your favorite music can be heard. You can learn more about Tera from her website terajohnson.com, and follow her on her YouTube channel, Facebook, and Twitter accounts. Hello friends! Hope everyone is having a great 2017 so far, and that everyone had a wonderfully happy and safe holiday season. 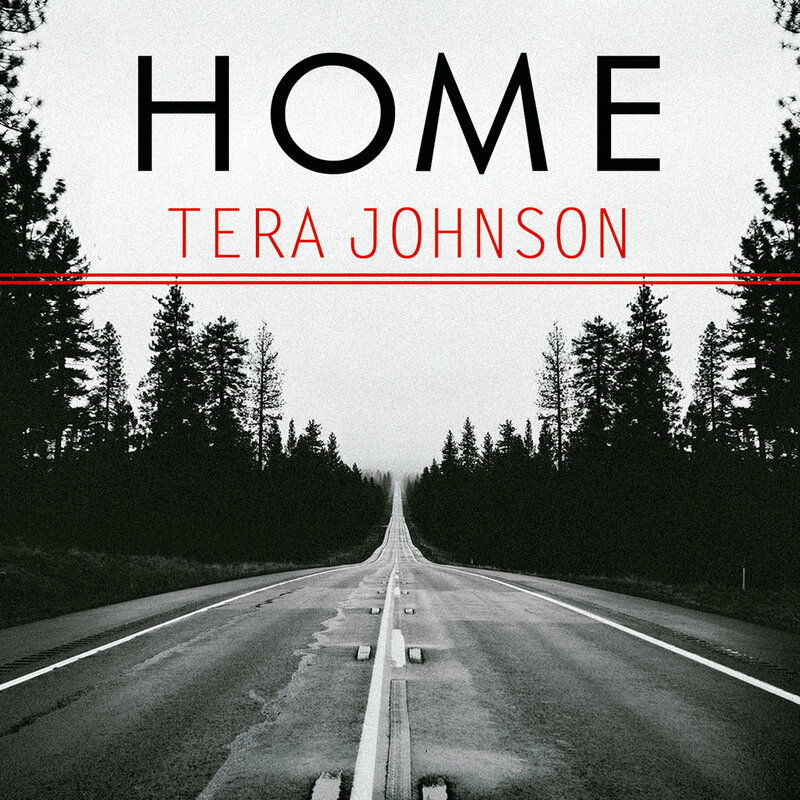 Music has been bouncing off the walls of the studio as of late, with the sounds of Tera Johnson's upcoming album "Home" in the works. Be sure to keep up with her over on her site, www.terajohnson.com. I've also created a personal blog over on my site, www.johnbamber.com/blog - please feel free to check that out and subscribe if you'd like, you can get emails sent to you just like these. Looking forward to a great 2017, hope yours is wonderful as well. As always I appreciate your time reading and keeping in touch. On May 6th, we had a celebrity of sorts grace the walls of JBRecording with some smooth low-end silky goodness. Joe Plowman, from Philadelphia, was flown in to cut some upright on a few tunes off Tera Johnson's upcoming album Home, currently in production here. Got some great sounds with the Royer R122 on the f-hole and the Neumann U87 right at the bridge in Omni. Ran the mics into the Universal Audio 4710d, and the direct signal from the pickup went into the Grace m101. Very happy with the results; a warm and cozy sound ideally suited for the record. Thanks to Joe for a solid performance and we look forward to having him back in-studio soon. JBRecording is pleased to welcome Tune In Next Week as our resident podcast! Tune In Next Week is a great podcast in which shows from the 80s and 90s are broken down beat-by-beat each week. No subject is off-limits, no topic too big or too small. From Knight Rider to Airwolf, Cheers to Frasier, and Full House to Family Matters, if it was on TV in the 80s and 90s there's a good chance it's already been covered or coming in a future episode. Definitely subscribe and check out the latest episode. You can subscribe via the main website by clicking the picture above. Enjoy! What a year it's been! The studio has been quiet for some time, but the holiday season is always one of my most favorite because it brings feelings of warmth, peace, and love. I had the pleasure of working with one of my dearest friends, ASH, on our own unique approaches to two Christmas songs which I present here for you to enjoy. I hope you have a wonderful holiday season and I look forward to the coming days of 2016, which is just around the corner! Check it out! Here's a lyric video from the studios here at JBRecording set to the latest from ASH (twitter @Mynameisash1 website www.mynameisash.com Facebook http://www.facebook.com/mynamesisash1 ) and Steve over at SHEW | Creative (web: http://www.shewcreative.com) . Incredible remix of the song "Miracle" originally released by ASH in 2014. This is a great song originally written for a good cause. If you're feeling like nobody hears your voice, this song is for you. If you feel invisible or powerless at times, put on your headphones and listen to this song, because it's for you. I am incredibly grateful to have been a part of the production of this remix, and I hope you enjoy listening to this as much as I do. Even after the work is done, I still can't stop listening to it because of the sense of positivity that comes with it. Yes, I know it's been a while. Too long, in fact! Quite a bit's been happening over here and I've had to take some time away from the studio to get life up and running here in Austin. I'm happy to report that all is well, and 2015 is shaping up to be a great year ahead. I'm looking forward to getting back into the studio and getting back in touch with all of you as well. I also wanted to take a quick moment to thank all of you again for your support, and for sticking with me through it all. I wanted to also wish each and every one of you and your families a happy and safe holiday season. Some great things are in the works for 2015. We're in a new city, new music is coming, it doesn't get any better than that. There's lots more to come after the new year, so until then be well and we'll see you after the new year! It's official - the JBRecording T-Shirt is here and available now for purchase. Visit this link: http://www.customink.com/signup/b8il9u9u to sign up and you'll receive your shirt once the order has been placed. Prices range from $15-25 per shirt depending on the size. Click the link above and get your shirt on order today! Represent your favorite local recording studio in style! JBRecording is open for business here in Austin! There's nothing worse than working on a project for a long time, then taking a little break, and going back to finding out you have absolutely no idea what you were doing in the first place! That's happened to me on many occasions, so I thought I'd put this little video together showing a few suggestions that have helped me with keeping my project files on the neat and tidy side. Send Me Your Questions & Subscribe!! Sign Up for our E-mail List - Trust me, it's fun.